What Are The Best Stirrups On The Market? When you are riding, whether you are just plodding around the back lanes or you are a top level eventer, your first priority should be safety. Horse riding can be a dangerous hobby, so all your equipment needs to be of the highest quality, well looked after and kept in good shape to minimize any potential injuries to you or your horse. Saddles and bridles are obviously a key consideration, as is a really good girth, but what about the best stirrups? Stirrups are very important; they keep your leg in the right place for good grip on your horse, and can encourage a good position too. Losing a stirrup, as we all know, can be the first step to an undignified exit from the saddle, so you need to make sure you have good ones. Safety: If you do fall, you want your stirrup to instantly release your foot so there is no danger of you getting stuck in it and dragged along behind your horse. Strength: Your stirrups need to be well made and strong, so they stand up the rigors of riding. 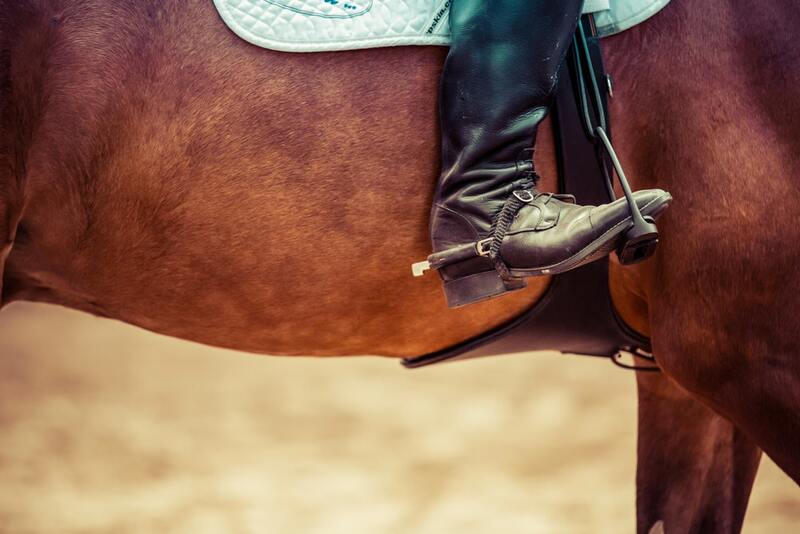 Fit: You need to make sure that the stirrup is wide enough for your foot, so that it is comfortable and so that you don’t get your foot stuck in the event of a fall. Comfort: It’s no good having the top rated, highest quality stirrups if they are uncomfortable and make your rides less fun. Secure: Having your lower leg positioned right means that your position on the horse is better, more comfortable and more safe. 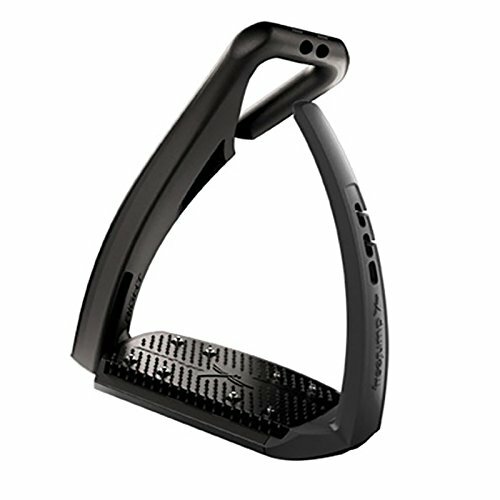 These are your standard, good quality stirrup irons that can be found somewhere in just about any yard anywhere in the world. They are a good fit for most feet, and have a built in grip. Will fit just about any foot – You don’t have to worry too much about not being able to get your boot into these, even if you have extra wide feet. Sturdy stainless steel construction – Stainless steel is a strong material which will not rust, bend or break, no matter what the weather or your riding conditions throw at it. They come as a pair – Unlike some stirrup irons, these ones are sold as a pair, meaning that they are ready to go as soon as you receive them. 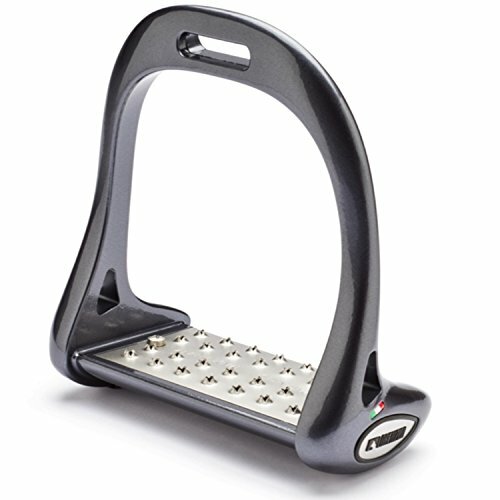 Ideal for all types of riding – Whether you are hacking, showing, jumping or doing dressage tests on your horse, these stirrups will be just fine for any discipline. The rubber pad may slide about inside the iron – There have been reports of the rubber pad being too small for the stirrup, leading to slipping. These are a fantastic pair of stirrups for the price. They are fairly basic, but don’t let that put you off – they are suitable for anything, and will last for years to come so they are a great investment. These lightweight stirrups are ideal for eventing, as they are incredibly strong and the ergonomic shape means your foot is instantly released in the event of a fall. 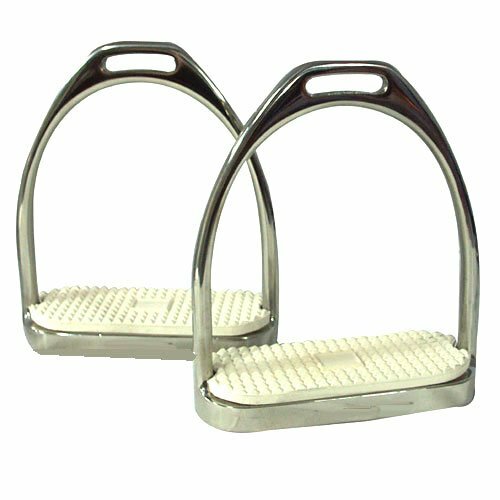 Titanium and aluminium construction means they are incredibly strong – Titanium is a very hard wearing material, as s aluminium, and they are both very light, which is just what you want in a pair of stirrups. Ergonomic design limits damage in case of falls – The way the stirrup is made means that if you do fall off, your foot is unlikely to twist or be damaged on the way down. A wide range of colors available – Now you can color match your entire kit, including the stirrups! You can even choose between shiny and matt finishes. Footplate guarantees good grip – The footplate is inclined and knurled, meaning that you are less likely to lose a stirrup and your foot will be in a good position. They are pretty pricey – You always end up paying more for quality items, and these great stirrups are no exception. Think of it in terms of how many years you will use them for and they won’t seem quite so expensive! A great pair of stirrups, using the latest technology and finest materials to make sure your ride is the best, safest and most comfortable it can be. These stirrups really are the top of the range, most sophisticated stirrups money can buy. They have a really space age look to them, which is designed with your safety in mind. Outer arm is designed to snap in case of a fall – Like the old elasticated sides to stirrups that we all remember well, this stirrup is designed to completely come apart in case of a fall, thus ensuring you don’t get your foot caught. Stirrup is angled to swing back towards your foot – This is great for those “help, I’ve lost a stirrup!” moments. No more flailing about trying to find your stirrup with these! Footbed is wider than many other stirrups – This not only offers comfort, but it is safer than many other stirrups as you will have good grip. Patented flexible outer branch – This branch is made of Elastollan, and it is super strong and durable as well as flexible. If the outer arm snaps the stirrups are useless – If they snap during a fall as they are designed to do, they will be replaced free of charge but you will have to wait for your replacements, meaning that it may be wise to have a back up pair. These are a truly sophisticated, state of the art pair of stirrups that are designed to keep you safe and encourage a good riding position. They are well worth the price tag and can be used for various occasions, e.g. trail riding, cross country, pleasure riding, etc. Good stirrups are the finishing touches to your safety riding gear. As we all know, losing a stirrup is common and irritating, but it can be fixed by having stirrups that angle back towards your feet so you can find them easily. And what about the nightmare of falling off and being dragged alongside a bolting horse? These worries are gone when you buy a pair of stirrups with detachable outer arms. The best stirrups will keep you safe and comfortable on your horse, so it is well worth investing in a really good pair.